April has been quite a hectic month for me; in between working and doing overtime, ive been redecorating my room and also i appear to have developed a social life and it was also my birthday this month so it's been a very busy and hectic month for me. You know when you're browsing the make up stand and a product just happens to jump off the shelf and into the basket; well this was one of those occasions. I didn't really need another red lipstick but i just couldn't resist the Rimmel Kate Moss Matte Lipstick in 110 and it was my birthday when i picked it up so treating myself was totally allowed! Nanshy are brand I've wanted to try for a while, I'm always hearing really positive things about their brushes so i loved seeing the Nanshy Angled Detailer Brush in the FABB Liverpool Goody Bag a couple of months ago. Monu Skincare is a brand that is committed to creating unique and naturally pure beauty products. They are a brand who believe in using natural resources and utilise the special properties of natural ingredients like plants, herbs, minerals and oils. I've tried a few items from Monu before; in particular my favourite one is the Monu Calming Cream which works an absolute treat for calming the redness in my skin especially when i have blemishes, it makes it easier for me to cover them up! So when i got the opportunity to try out a Monu Product, i pretty much jumped at the chance! Lush released their Emotional Brilliance range quite some time ago now and whilst a few items did catch my eye, i never bothered to go out and try it. I'm sure you're familiar with the purpose of the range but if not the idea is that the make up is worn based on your emotions - in store they have a wheel that you can get a personal reading from in which you select three colours that you are most drawn to and these uncover a certain word/emotion that reveals a little bit about you or your current state of mind. Each emotion is the shade name of a product so it's all about wearing colours that reflect your mood. Most of us girls like to carry a make up bag around with us for touch ups throughout the day and generally so we can be prepared for any situations that may arise; normally I'm one of these girls however the unthinkable happened to me on Tuesday - i didn't bother taking my make up bag with me to work and at the end of my shift i ended up going out for tea very last minute, so not only did i feel horrid being in the clothes id worn all day; my make up had pretty much slipped off my face, eyeliner had gathered under my eyes and my blemishes were poking through and i looked absolutely terrible. Safe to say i will not be making that mistake again; however it did give me an idea for this post! I don't know about you but in my make up bag as well as putting in the products that I'm wearing that day, i have a selection of products that remain in there regardless; products that are not only essential but that can also spruce up a look at a moments notice. 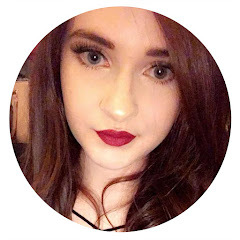 Bit of a different kind of post for you today; not too long ago Annabelle's Wig put a tweet out seeking bloggers who were interested in wigs and hair pieces, I'm quite fascinated with hair pieces and wigs especially since get my hair cut shorter so this definitely interested me. They very kindly sent me a 3/4 Hair Piece* - they wanted bloggers to create three different hair styles using their hair pieces. The other week i showed you some of the products I've introduced into my 'everyday' stash now that the season has changed (post here) i did mention one or two of these lip products but i thought id share with you some of my favourite lip products for the spring time. I pined over the Benefit Fine One One (£23.50) for quite a while after it was first released over a year ago but i stayed strong and stopped myself from buying it and i probably would have continued to stay strong had i not spotted it in a blog sale earlier this year. For £8.50 i felt i just couldn't let it go - even if it did mean cheating on my make up ban a little bit!